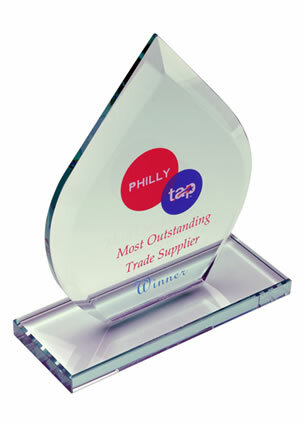 Triple rising star award in clear optical crystal glass, 28cm / 11in tall. Supplied in presentation box. These exclusively handcrafted awards are as versatile as they are striking, being equally suited as corporate recognition awards, company incentive awards, sporting achievement awards or as awards for a wide variety of other fields and disciplines. Immaculately finished in flawless optical crystal, they feature a triple rising star motif. 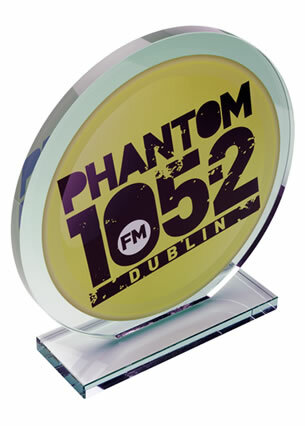 The optical crystal material refracts light as it passes through, ensuring that each award offers a unique and constantly changing aspect as it is turned. 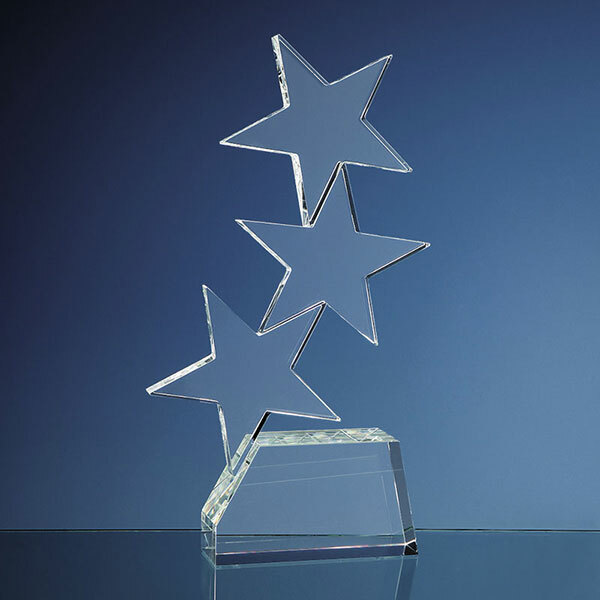 The base of the award is ideal for personalising, and these rising star awards are offered with engraving and/or colour print options, perfect for customising with event or achievement details, sponsor or organiser logos, or winner details. 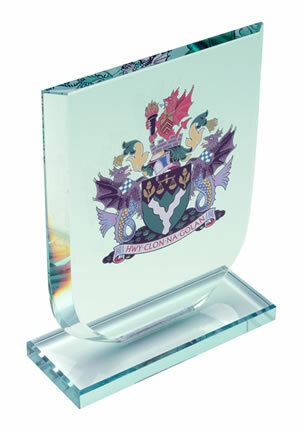 Each award is supplied in a foam-lined black presentation box.